A few weeks ago I won these tweezers via a Twitter competition that Feel Unique held. It was literally just a 'retweet and follow to enter' type of competition so I was really lucky to win! This year's limited edition series sees Harajuku Lovers partenered with Tweezerman. 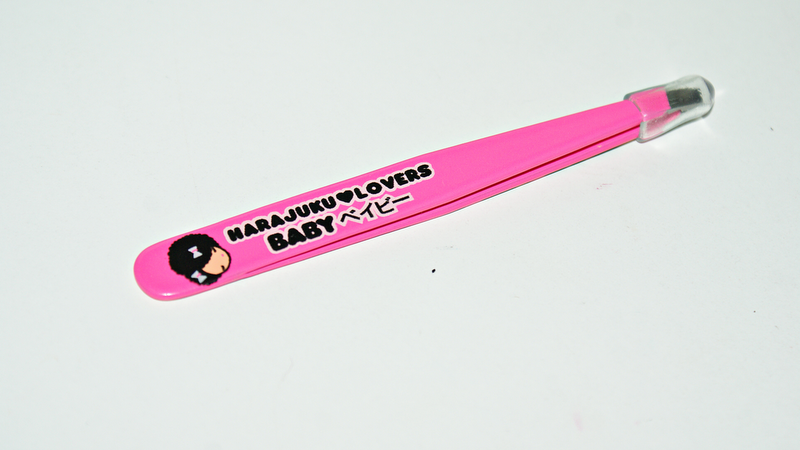 There are five different tweezers in the collection; Angel (white), Love (red), G (blue), Music (green) and Baby. There's also one mirror in the collection (£14.00). The lovely people from Feel Unique sent me the 'Baby' tweezers which are neon pink and the most fun colour! They feature two very sharp slanted blades which make it a lot easier to grab hair from the root and pull the hair out upwards and then down. 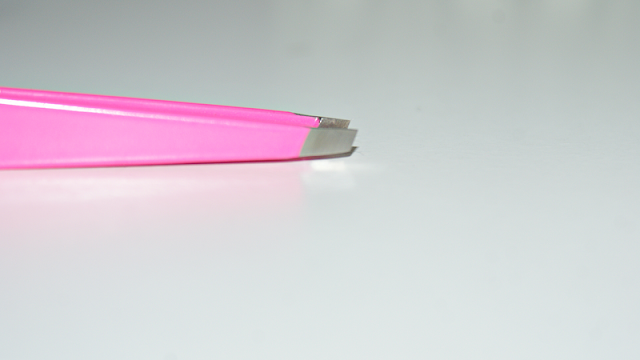 Slanted blades also make it easier to shape the brow slightly more angled. I find they remove hair really quickly and painlessly and I am not left with any red marks etc. Really impressed with them! Tweezerman also offer a free sharpening service which is always a bonus!